June is LGBT Pride month and the community has plenty to celebrate. The president finally evolved on marriage equality, the majority of Americans now supports the legalization of same-gender marriage, and even the Pentagon salutes lesbian and gay service members. All this positive change is a result of courageous individuals coming out and telling their stories; enlightened families and communities realizing we are their children, siblings, parents, and neighbors; and principled policymakers doing the right thing. Spurring them all along are LGBT groups, which have been around for well over half a century. The Movement Advancement Project (MAP), which tracks LGBT progress, highlights the vital role of LGBT organizations in the movement’s recent breathtaking advance. MAP reports considerable resources available to LGBT advocacy, issue, legal, and research and public education organizations. 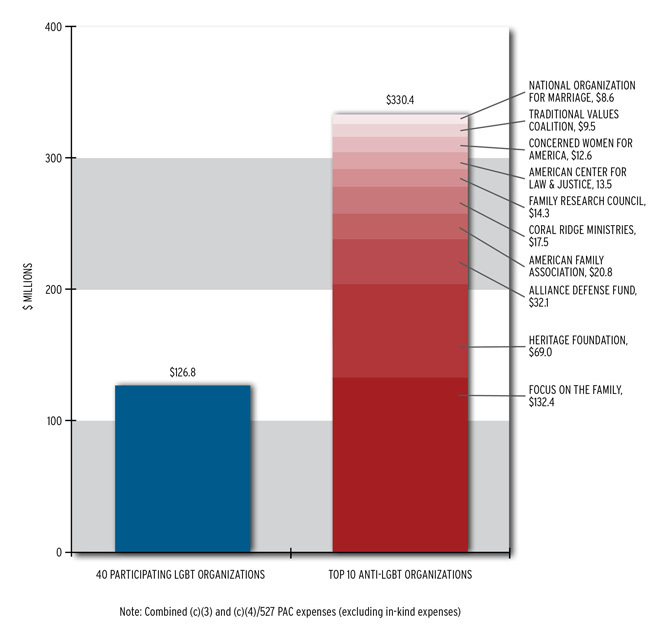 MAP tracks 40 organizations that represent 71 percent of these nonprofits and estimates the cohort’s combined 2011 budgets at $143.2 million. This amount has been successfully harnessed to push for LGBT equality in the United States. This amount pales in comparison, however, to that of opponents of LGBT equality. 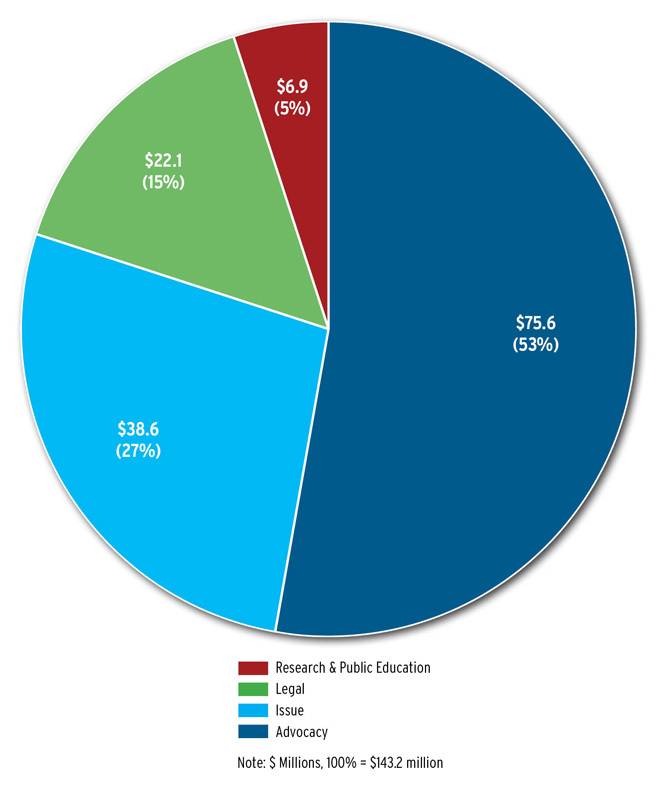 MAP estimates the combined budget of anti-LGBT organizations at $330.4 million. Source: Movement Advancement Project 2011 National LGBT Movement Report Despite the vast resources available to anti-LGBT forces, progress for the community continues, unstoppable and inevitable. Major obstacles remain, but LGBT nonprofits will be around to make sure that we don’t fall back.